Terry Brian Trammel, 1040 Quail Manor Drive, Lebanon was charged with criminal trespass on two occasions in late August, once on Aug. 22 and the other on the 25th. 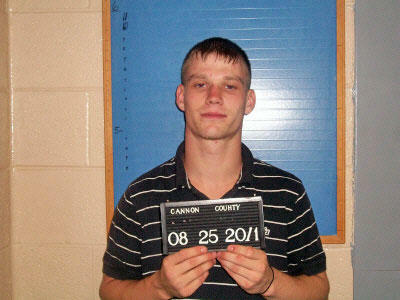 On the 22nd, Trammel was found to be on the property of Cannon Manor Apts. without the owner’s consent to be there. He was found hiding in the bedroom closest of one of the apartments. Trammel told the arresting officer, Woodbury Police Sgt. Lowell Womack, that he had been informed not to be there on two other occasions. On the 25th, Woodbury Patrolman Chris Brown arrested Trammel after he was found on the property of the adjoining Stage Road Manor Apts., from which he has also been barred. Total bond from the two incidents was set at $3,500. Initial court date is Sept. 20.